"Eureka Excursion" 200k BRM This ride is based on the Peak Audax "Eureka" route---but starting at the Cafe itself and visiting the beautiful village of Ellesmere at the southern point. The route then heads off to a cafe stop at Tilly’s in Bunbury, followed by Congleton & Lymm (thus avoiding the Manchester conurbation). Return is through Great Budworth to the Wirral. A generally flat ride with many interesting, scenic lanes and great cafes. 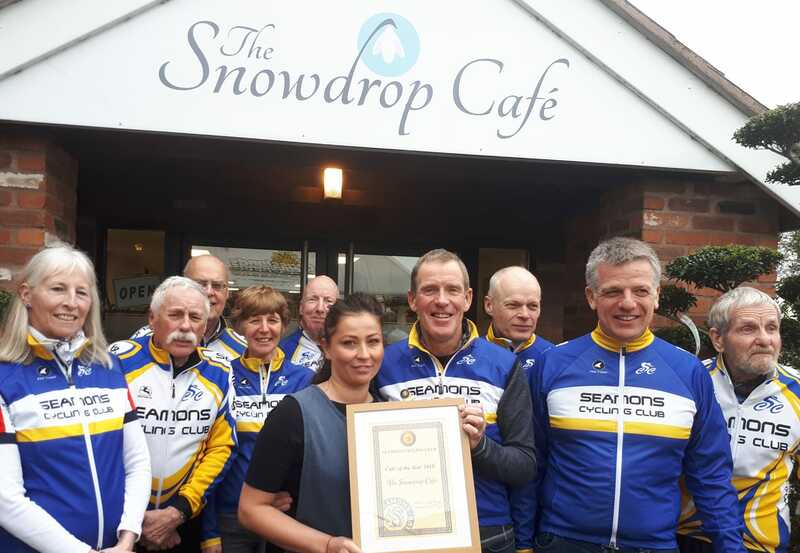 "Two Mills Twirl" 60k is an introductory ride visiting Cleopatra's Cafe in Holt, followed by a return to the Eureka cafe through Aldford and Mickle Trafford. 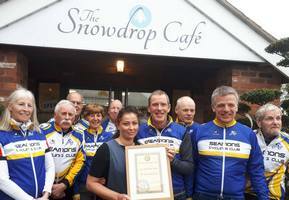 Well done to Gosia and her team at the Snowdrop Cafe at Grasslands, Seamons CC Cafe of the Year 2018. It was a pleasure to give this award to Gosia, who is a fantastic host and always welcoming. The cafe is not a particularly long cycle for our club members, so we make sure we end up there by taking quite a circular route to ensure we get the miles in before we enjoy the cake. The 2019 Club Handbook is now available. Members who have elected to receive an electronic copy can download the PDF from here. Those who have requested a paper copy will receive it shortly. The team store opens on Monday 4 February and will close at midnight Sunday 10 February. Clothing ordered should be delivered to me by 9 March. All details on how to order can be found on the kit area of the club website. New prices (some prices stayed the same and some increased slightly) will be shown when you order. I’ll try and update website ASAP. 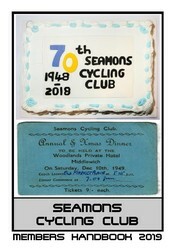 Multiple awards to Seamons riders for the 2018 timetrial season at the M&DTTA Lunch & Prize Presentation. Ade Hughes - 1st Middle Distance Vet on Std, 1st 100 Mile Vet on Std - Nick Carter Trophy, 2nd Senior BAR, 3rd Middle Distance Championship, 12 Hour Gold Medal. Ronan O'Cualain - Best 12 Hour Novice - Saddle Trophy, 4th Senior BAR, 5th Middle Distance Championship, 12 Hour Gold Medal. Dan Mathers - 4th Middle Distance Championship. Please let me know your choise of menu ASAP. Chicken supreme with tomato, red wine and shallots accompanied with herb roasted potatoes and seasonal vegetables. Baked salmon fillet in lemon butter sauce with fresh herbs roasted potatoes and seasonal vegetables. It's that time of year when membership fees are due for renewal. If you're paying by Standing Order then you don't need to do anything. Otherwise I'd prefer fees are transferred directly into the account. You have until the end of this month after which a late payment fee of £5 is also due. It's that time of year. I must have all trophies returned to me by Friday 14th December at the latest. Also anybody who is claiming club time trial standards needs to let me know distance, time, event and date ASAP. Within the club there are bronze, silver and gold standards for time trialling. The times are laid out in the club handbook. If you have reached one of those standards this year for the first time, please let me know and you'll get a certificate and optionally a medal in recognition. Many thanks Paul Barber ttsec@seamonscc.co.uk. 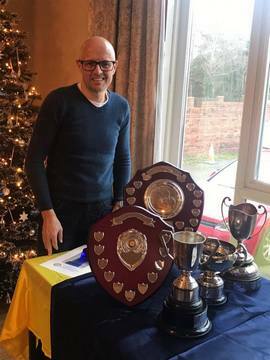 Congratulations to Adrian Hughes on receiving the following awards for the 2018 timetrial season at the VTTA Manchester & NW Lunch & Prize Presentation. By tradition, the meeting takes place on the second Friday in November which this year is the 9th November. The meeting will start at 8pm at St George’s Church Hall, Altrincham. The meeting will include reports from all the club’s officers and the audited statement of accounts, will elect club officials and will handle any other business required. I would also like to remind everyone that all club roles (apart from Vice-President) are up for election. Nominations for the President are required to be submitted in writing before the AGM. Nigel Harrop is standing down as Chairman after doing an excellent job over the last few years and this position needs to be filled. Many of the current committee members are prepared to stand again for election again although there are a few vacant roles including the Touring Sec and Club Development Officer. If anyone wants to take on any of the roles, I would encourage members to put their name forward. I look forward to seeing people on the night. Congratulations to Nigel Modlinsky & Barry Armstrong for being placed 1st & 3rd in the recent TLI National Timetrial Championships. Sunday the 16 September was the date of the TLI National Championship Time Trial, a sporting event of 25 miles and 670 metres climbing based on the Horseshoe pass in North Wales. It was also the 8th and final round of the successful Lapierre Road Series, which on all previous rounds had been blessed with perfect weather, but on this occasion suffered wind driven rain. Nonetheless, most of the 120 entrants set off enthusiastically on this testing course commencing with a timed 2 mile hill climb (event within the event) from near the Britannia, over the top, down towards Corwen and return to the finish at the Ponderosa cafe at the top of Horseshoe, which also formed the HQ for the event. TLI Category B honours, and a National Champion’s jersey, went to Seamon’s Nigel Modlinsky with a time of 1:10:49. This concluded an outstanding year for Nigel, with some fine racing leaving him 1st Cat B and 2nd overall in the Lapierre series. The other Seamons rider in the National TT was Barry Armstrong, who finished 3rd Cat F, with a time of 1:19:45 (and 4th Cat F in the Lapierre series). New records for Adrian Hughes in the WCTTA event on the D12/1 course. Congratulations to Adrian on setting new club & all age veterans records at 12 hours of 272.21 miles. Prevous records were 269.67 miles set by Dan Mathers in 2015. Congratulations to Adrian Hughes on setting a new veterans record on standard at 12 hours of +73:77. Previous record was +67.98 by Adrian hmself set in 2017 on the same course. Congratulations to Adrian Hughes on setting a new veterans record on standard at 25 miles of +18:17 with a ride of 00:49:57 in the Mertyr CC event on the R25/3H course. Previous record was +17:58 by Adrian hmself set earlier in 2018 on the same course. 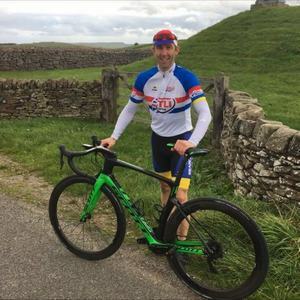 Congratulations to Adrian Hughes on setting a new veterans record on standard at 25 miles of +17:58 with a ride of 00:50:16 in the Sportzmad event on the R25/3H course. Previous record was +17:29 by Alan Chorley set in 2017 on the same course. 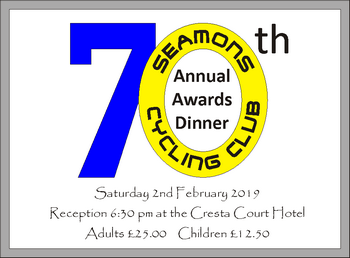 Welcome to another year of riding with Seamons CC. Whether or not you are a new or continuing club member, please read these carefully and, as the weather begins to improve, enjoy the experience of riding safely with SCC. "I am pleased to announce that if you have any footage from either a dashboard camera or helmet camera that requires a police officer to view / investigate you can now do this through our website ! Click on the link below and read all about it. Please read the front page carefully to understand what will be done with the footage and the requirement of a statement should the officer wish to proceed with a potential prosecution. As mentioned at the AGM Cheshire Police are recommending In Case of Emergency ID helmet stickers that can be scanned by the emergency services. The iceQR stickers can be obtained from www.cerql.co.uk/helmet-stickers, cost is £1.50 including delivery then 99p per year to keep registration active. * Altrincham Bike Shak,10 Oakfield Trading Estate, Altrincham, Cheshire. WA15 8EJ. Tel: 0161 929 9355. 10% off accessories. * Grapevine Computers, 20 Greenwood Street, Altrincham. WA14 1RZ. Tel: 0161 941 6978. 10% off labour charges. * Sport-Med Physiotherapy, Norbury Chambers, 2-6 Norbury Street, Stockport. SK1 3SH. Tel: 0161 474 7469. 10% off consultations & treatment. Seamons Cycling club is grateful to the Suppliers for their generous offers, but would like to make it clear that this does not imply that the Club endorses their products. Please ensure that you take your 2015 SCC Membership card with you, and clarify in advance that the offer applies to any goods or services you intend to purchase. Please send any news items for inclusion on the website to Neil Rothwell.